Tracy Lawrence was nominated for National On-Air Personality of the Year at the 52nd Academy of Country Music Radio Awards on Wednesday on the heels of celebrating the 25th anniversary of his first No. 1, "Sticks and Stones," marking an auspicious start to what promises to be a lively 2017. Lawrence, the dynamic iconic country music singer, guitarist and radio host of “Honky Tonkin’ with Tracy Lawrence,” is celebrating two and a half decades in music this year, and it will be a busy one. Along with his weekly radio duties, Lawrence is touring extensively this spring and is in the studio recording a new collaboration album that will be out later this year. Last year, the Middle Tennessee Chapter of the Association of Fundraising Professionals honored Lawrence as its Philanthropist of the Year for his work on behalf of Nashville Rescue Mission, recognizing him for making a large and positive contribution to the community. Funds raised by the singer through his annual Mission:Possible Turkey Fry and benefit concert have helped provide more than 75,000 meals to those in need. Lawrence will launch a new homeless fundraising initiative on May 7-8, 2017, the Mission:Possible Golf Tournament and Charity Concert, a partnership with legendary radio station 650 AM WSM that will benefit Lebanon, Tenn.’s Brooks House and Nashville Rescue Mission. The Brooks House is a non-denominational, faith-based transitional, non-emergency shelter where women and children receive temporary shelter. “Honky Tonkin’ with Tracy Lawrence,” produced by Silverfish and distributed by Compass Media Networks, is a three-hour show that features hits from the 1980s, ‘90s and early 2000s, interviews and special guests, contests, prizes and audience interaction through calls and social media. Lawrence will find out if he won during a ceremony April 1 at The Joint in Las Vegas during the ACM Party for a Cause. Lawrence is known as a hit-maker who has left an indelible mark on the genre with nearly two dozen hits, 13 million albums sold and many memorable shows, a legacy he shares through hundreds of live appearances every year. 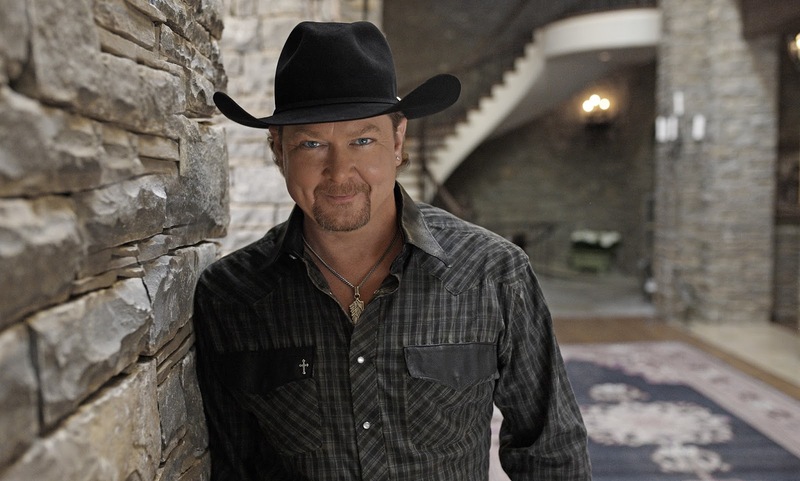 He has earned multiple Academy of Country Music and Country Music Association Awards, and won the ACM Vocal Event of the Year award for “Find Out Who Your Friends Are,” featuring Kenny Chesney and Tim McGraw. In 2008 he also earned a GRAMMY nomination for his Southern Gospel album, The Rock. Now Lawrence brings a lifetime of stories and experiences to the radio. “Honky Tonkin’ with Tracy Lawrence” is keepin’ it country on nearly 60 affiliates across the nation. Tracy Lawrence is on the road this summer making solo and festival appearances. To learn more about Lawrence or to purchase tickets, visit Tracy Lawrence’s Facebook page and follow @tracy_lawrence on Twitter.